The Land Bank now has Featured Homes Available For Sale. In 2018 the Land Bank started Featuring Homes as a way to speed up the processing times on the purchase of residential properties. We found we were able to get properties closed and in the hands of interested parties 70% faster than our old process. This process allowed more people to view the homes without delaying the sale. In order to speed up the sale of more properties, starting in January 2019 all homes with conditions that allow them to be immediately available for sale, will be shown as Featured Homes. Open houses will be scheduled ahead of time, interested parties can simply show up, view the home, and if interested, obtain a bid form from the Land Bank employee showing the house. It is that simple. No applications, no waiting for a call to schedule a showing. Simply see it, bid it, and buy it. To find out which properties are available for sale, check out the Featured Homes section on our website, follow us on Facebook, view the Flint Property Portal, submit your e-mail address to receive a weekly e-mail with that week’s open houses, or pick up free flyers in our office. We will have new homes available each week. Information regarding each property, including the number of bedrooms, bathrooms, and square footage will also be available in the same locations. No more wasting time walking through houses without any information on the house or going through lists only to find houses that don’t fit your needs. Bids can be submitted by fax, 810-257-3090, in person or via email to bids@thelandbank.org. Please make sure to include all supporting documentation; incomplete bids will not be accepted or reviewed. If submitting by fax, please call to confirm receipt. 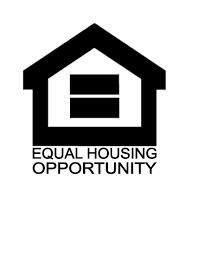 Applicants submitting land contract offers must attend a homebuyer education class through a housing counselor approved by MSHDA or HUD. This workshop is $25 and pre-registration is required. SIGN-UP FOR OUR FEATURED HOMES FOR SALE WEEKLY EMAIL LIST! Below is a map and list of featured homes currently available.